New music today from Ray Lamontagne, The Fratellis, Lissie, Church Of Trees & More! Stream or download this episode here! 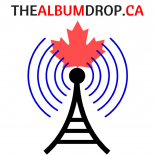 This entry was posted on May 23, 2018 by Phil Shirakawa in The Show and tagged alternative, canadian music, church of trees, Fratellis, indie, lissie, new music, podcasts, Radio, ray lamontagne, sightlines.